I’m pleased to announce that I’ve been invited to be a presenter at this year’s Children’s Ministry Websummit, to be available free of charge, online, everywhere from April 2nd through April 7th. 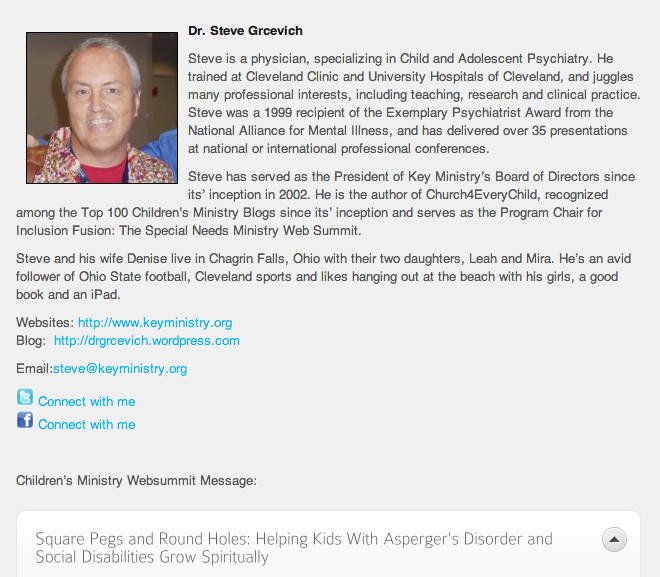 I’ll have a video presentation on the topic…Square Pegs and Round Holes: Helping Kids With Asperger’s Disorder and Social Disabilities Grow Spiritually. Kids with Asperger’s Disorder and other social disabilities are all too often “square pegs in round holes” when it comes to children’s ministry. 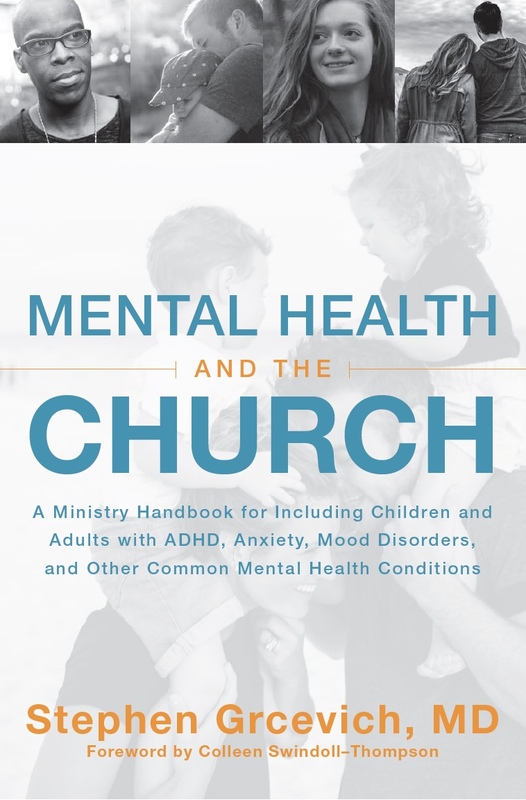 In this presentation, I’ll review the challenges to church attendance and participation resulting from Asperger’s Disorder, discuss how family ministry approaches can help spur spiritual growth in kids with social disabilities and share tips for children’s pastors, church staff and volunteers for successfully including kids who struggle socially in your ministry environments. Beginning next Sunday, we’ll launch a Spring blog series on this topic to accompany my presentation for the Websummit. The presentation and blog series will also serve to kick off a month of special content in April for Autism Awareness Month. The Children’s Ministry Websummit is produced by Jeremy Collins and his team at Pajama Conference, the same group that hosted last Fall’s Inclusion Fusion Special Needs Ministry Websummit. For those of you who registered for last year’s Websummit, the organizers have instituted some improvements modeled after Inclusion Fusion. Every presentation will be available “on-demand” at any time during the conference. You’ll be able to watch my presentation, as well as any of the other fine presentations on the schedule whenever you’d like during the Websummit. We’ll have opportunities for interactive sessions. The one element of the conference that’s not changing is your cost of participation. Nada. Zero. Free. Just the way we like it. Your support of Pajama Conference through purchases of the Inclusion Fusion DVD Box Set helps support free ministry training, including the Children’s Ministry Websummit. Check out the roster of speakers already committed to the Websummit…new speakers are being added daily. Register here for the 2012 Children’s Ministry Websummit! 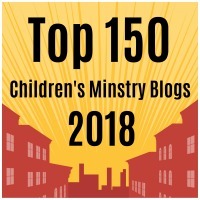 This entry was posted in Autism, Key Ministry, Training Events and tagged Asperger's Disorder, Children's Ministry Websummit, inclusion ministry, Jeremy Collins, Key Ministry, Pajama Conference, social disabilities, spiritual development, Stephen Grcevich MD. Bookmark the permalink. Nice Steve! We know you’ll do a great job on this topic that’s so near and dear to many families.